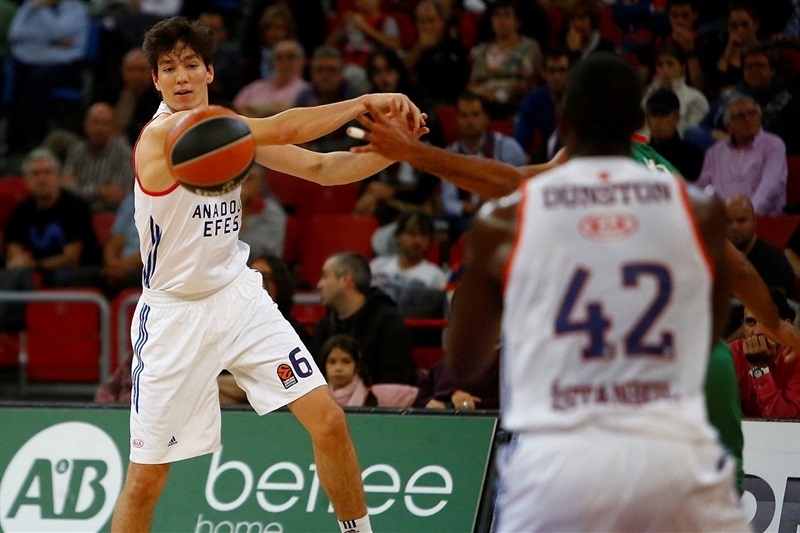 In a fun-to-watch showdown in front of over 10,000 fans at Fernando Buesa Arena that literally went down to the final shot, Baskonia Vitoria Gasteiz recorded its first win in the 2016-17 Turkish Airlines EuroLeague by edging Anadolu Efes Istanbul 85-84 on Friday. 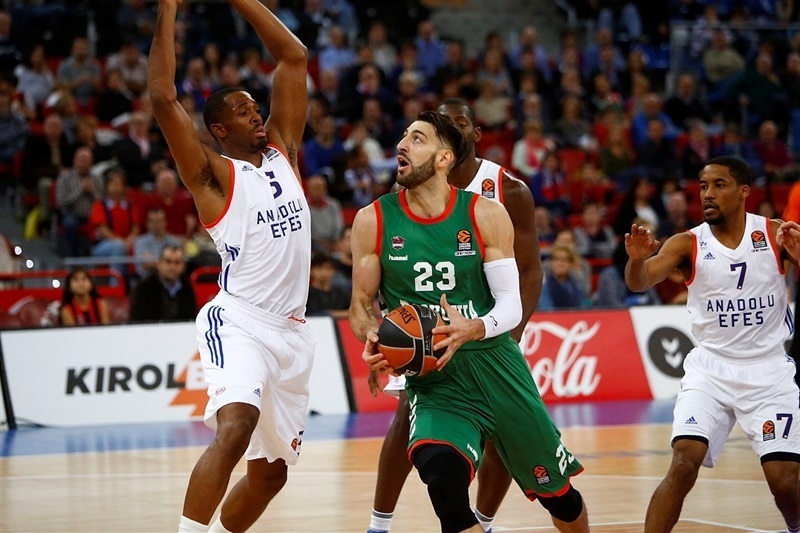 Andrea Bargnani marked his EuroLeague return with an impressive performance and 26 points, while Tornike Shengelia added 16 points and 9 rebounds and newcomer Johannes Voigtmann added 12 points for the winners. 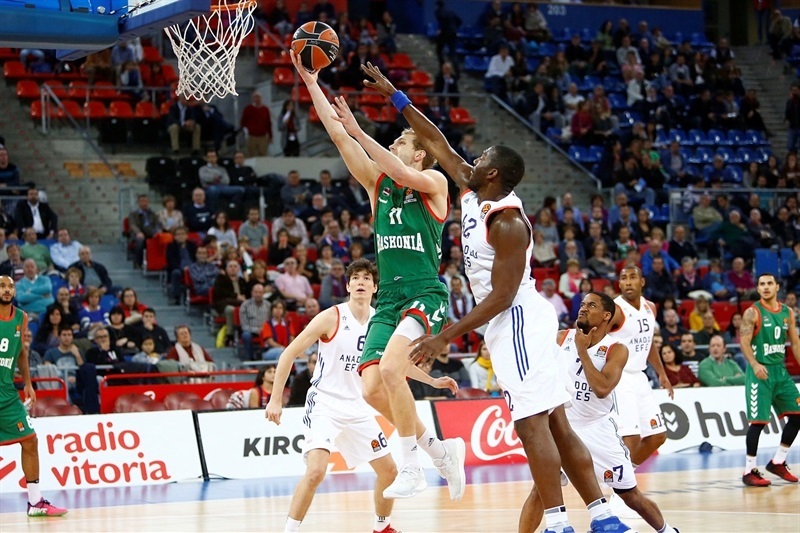 In one of the keys to victory, Baskonia dominated the glass in outrebounding Efes 40-27. Derrick Brown paced Efes with 16 points, Bryce Cotton and Cedi Osman each scored 13 and Bryant Dunston had 11 in defeat. 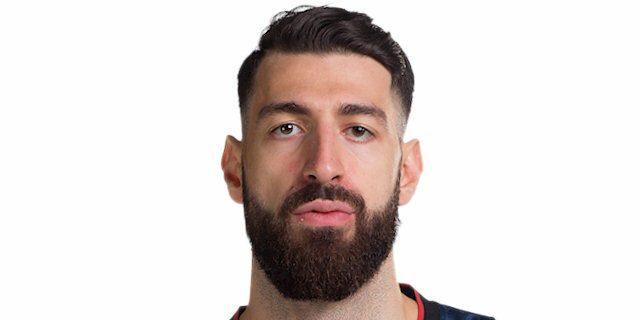 Shengelia needed less than 90 seconds to score the first 6 points of the game and a jumper by Bargnani soon gave Baskonia a 10-2 lead. 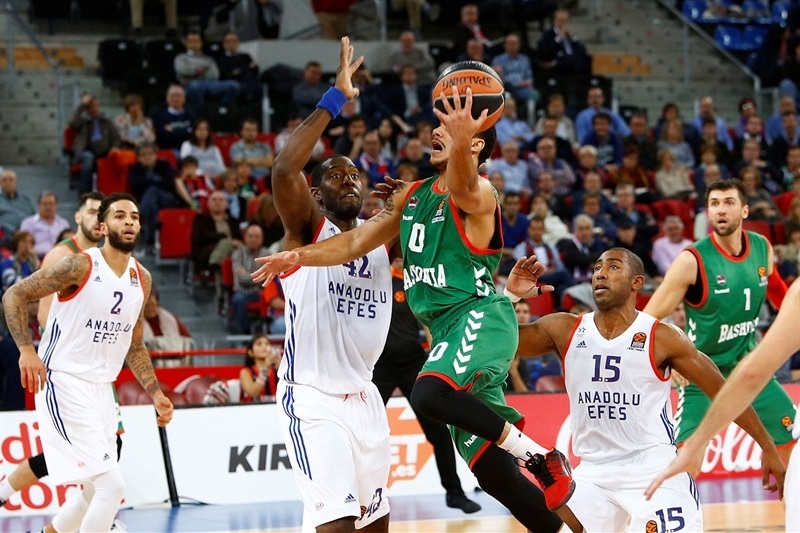 Osman and Bryant Dunston stepped up for Efes and a three-pointer by Cotton put the guests ahead, 15-16. Ilimane Diop and Josh Akognon tried to change things for Baskonia, but DeShaun Thomas restored a 25-27 edge after 10 minutes. 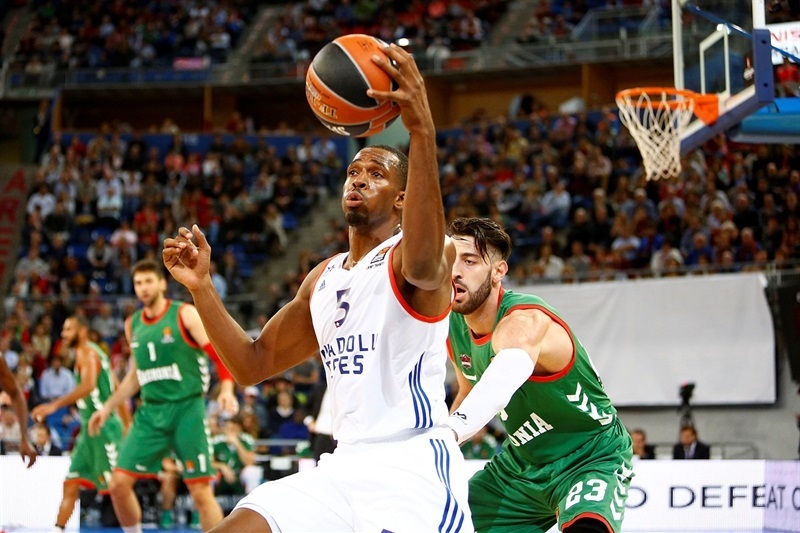 Brown, who had been scoreless until then, took over early in the second quarter to give Efes a 32-38 lead. 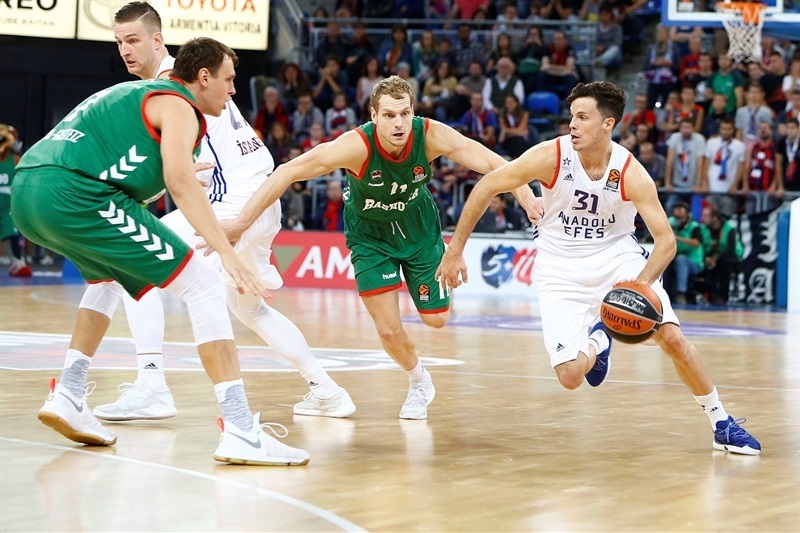 Bargnani had 5 points in a 7-0 Baskonia run, but an unstoppable Brown followed free throws with a triple for a 39-43 Efes edge. 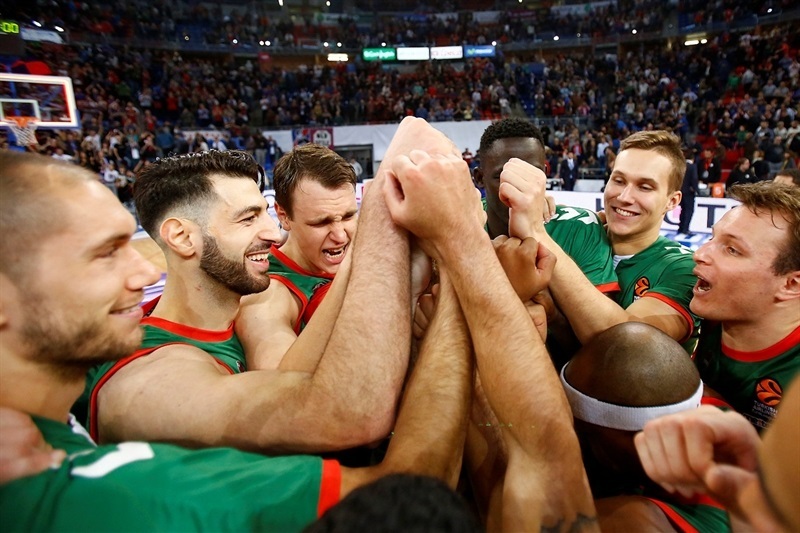 Bargnani kept pacing Baskonia, but three-pointers by Osman and Thomas Heurtel put the guests up 49-51 at halftime. 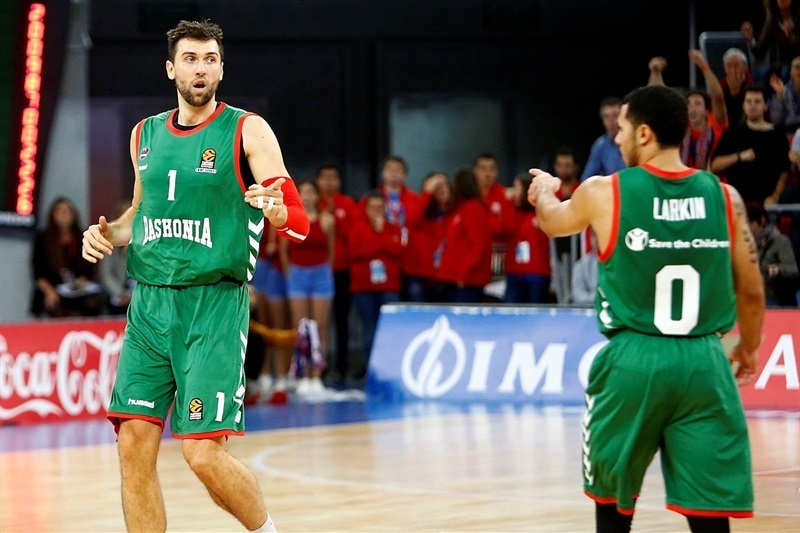 Bargnani stayed hot after the break and his three-pointer from the top of the key put Baskonia back ahead, 56-55. 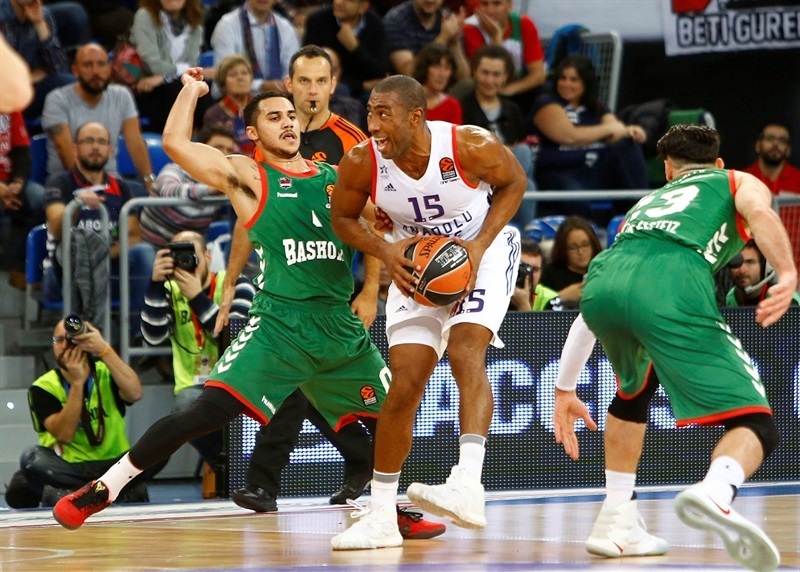 Efes found a go-to guy in Jayson Granger, who joined forces with Dunston and Tyler Honeycutt to put Efes ahead, 62-66. 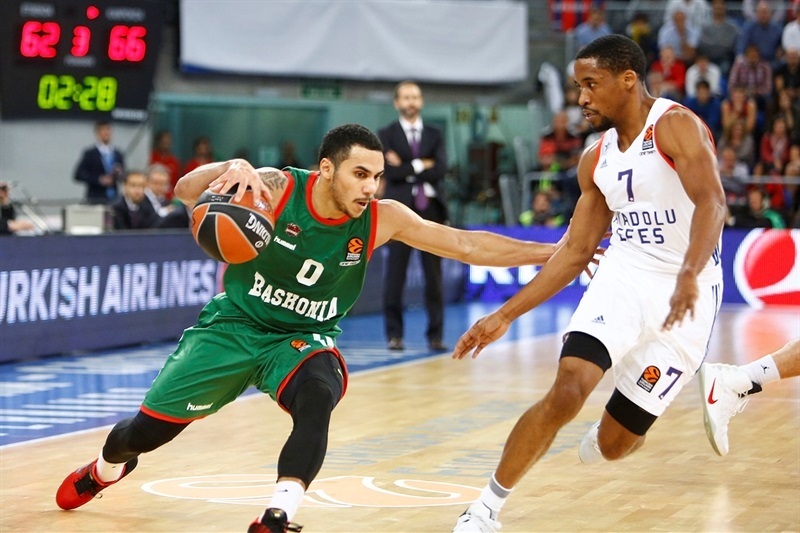 Shane Larkin stepped up for the hosts, but Thomas and Alen Omic gave their team a 68-73 lead after 30 minutes. 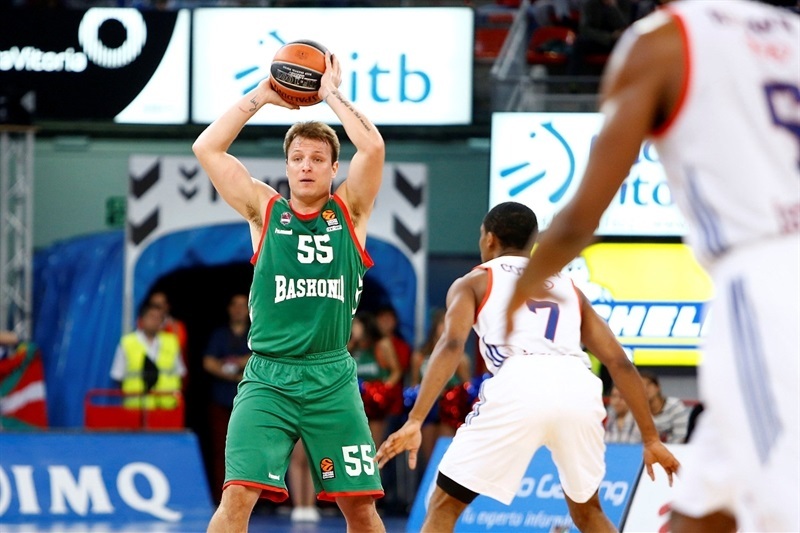 Voigtmann took over early in the fourth quarter and singlehandedly put Baskonia in front, 75-74. The hosts improved their defense and a tip-in by Bargnani made it a 5-point game. Dunston and Thomas drew Efes within 83-82 in the next-to-last minute. Bargnani split free throws, but Cotton hit both of his attempts to tie it at 84-84 with 22.1 seconds left. Shengelia drew a foul with 4.9 seconds left, split free throws to put Baskonia up 1 and Cotton missed from downtown at the buzzer. "We played a very good game, in my opinion. 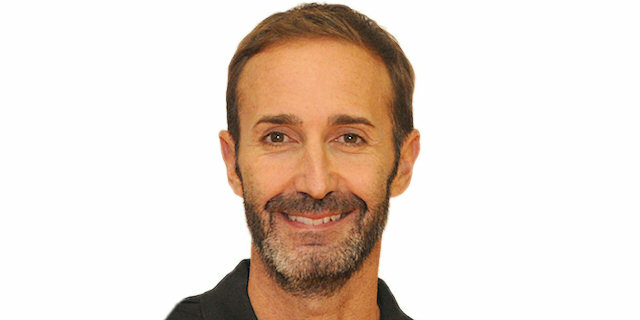 It is true that we were a little soft on defense in the opening five minutes and made mistakes on offense – making turnovers and taking bad shots. We were soft on defense after these situations. After that, in the second part of the game, the team played very well on defense, with good intensity and believing in the things we have to do. In the last 2-3 minutes with a 7-point lead, we were so-so at putting the ball in the right place. We have to improve that because we lost the opportunity to kill the game entering the final minute, and they got the chance to win at the buzzer. I am very happy for this win and for the players, especially. There was a moment in which Toko [Shengelia] was tired, Andrea [Bargnani] had 4 fouls and they were playing with two power forwards, which was a tough moment for us. 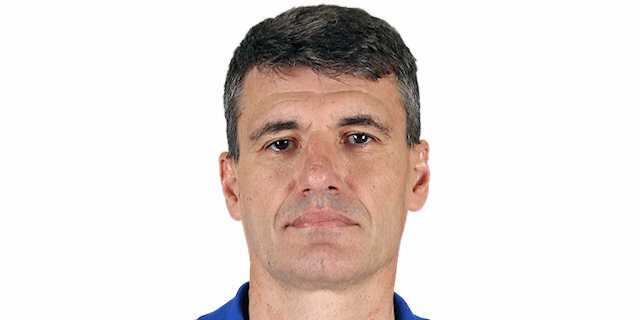 We need Andrea and Hanga, but in a situation like that the team can lower its head or play defense with even more intensity, which is what my team did tonight. We looked for defense as the best way to win the game." "It was a very tight game in which both teams could have won. I think that the key was the beginning of the last quarter when Baskonia had an, I think, 11-1 run, with energy and offensive rebounds. In that moment, the game went to the other side. We tried, but also had the last shot, but that moment was the key of the game. It is always nice to be back in Vitoria. We reached the end of the game with a chance to win, and we did a correct offense, because the shot was open and we had a chance for a rebound, but luck was not on our side tonight. I can't say anything about the final play. Thank you to the Baskonia fans for the warm welcome. You never know how fans can react, but I am always thankful for being received the way I was." "Defense definitely made the difference in this game. We did a great job, especially in the last second. We denied every ball. Before that, we did a really great job with their bigs, helping out each other. I think that was the key to win the game."